New guidelines have been developed for the field of Alzheimer’s disease. They were published in the June edition of Genetics in Medicine, and jointly issued by the American College of Medical Genetics and the National Society of Genetic Counselors. 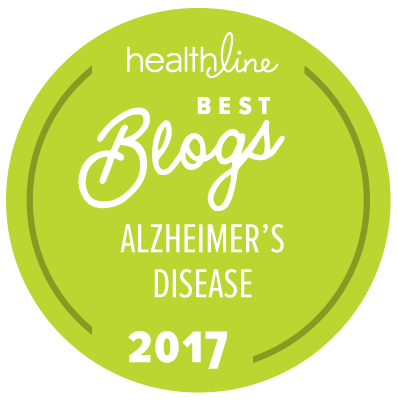 The guidelines distinguish between genetic testing for dominantly inherited AD genes and that for the Alzheimer’s susceptibility gene, ApoE . The three early-onset familial AD genes — presenilin-1 (PS1), presenilin-2 (PS2) and amyloid precursor protein (APP) — confer almost 100 percent risk of developing AD, usually before the age of 60. Children of parents with the disease have a 50 percent chance of inheriting the gene, and may request pre-symptomatic testing. The guidelines lay out several strong recommendations for this type of predictive testing. In contrast to dominantly inherited genes, testing for the AD susceptibility gene ApoE is a completely different case. The fourth gene, APOE-e4 on chromosome 19, is linked to a greater risk of susceptibility for developing late-onset Alzheimer’s. Late-onset AD is the more common form of the disease manifested after the age of 55 and generally associated with old age. APOE-e4 is a variant form of a gene that encodes the production of a protein called apolipoprotein E, which may play a role in repairing connections between brain cells. People with one copy of APOE-e4 have a greater risk of getting Alzheimer’s than people with other forms of the gene, and people with two copies of APOE-e4 have an even greater risk. Although carrying a copy of the ApoE4 risk allele increases the odds of getting AD by several fold, many people with the risk allele do not get the disease, while others without the allele do develop AD. The guidelines do not advocate for such testing. The authors hope the guidelines will help to ensure that genetic testing for AD is performed in situations where it will provide useful information, and that patients and family remembers receive accurate information on the meaning of the results. Goldman JS, Hahn SE, Catania JW, Larusse-Eckert S, Butson MB, Rumbaugh M, Strecker MN, Roberts JS, Burke W, Mayeux R, Bird T. Genetic counseling and testing for Alzheimer disease: Joint practice guidelines of the American College of Medical Genetics and the National Society of Genetic Counselors. Genet Med. 2011 Jun;13(6):597-605.